One of the ways in which federalism is most clearly expressed in the Constitution is in the process for its amendment. Nine of the thirteen original states were required to ratify the Constitution to establish it. Amendments must be ratified by three-fourths of the states (thirty-eight states today) to take effect. 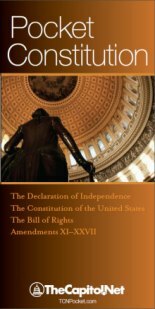 Amendments to this Constitution, or, on the Application of the Legislatures of two thirds of the several States, shall call a Convention for proposing Amendments, which, in either Case, shall be valid to all Intents and Purposes, as Part of this Constitution, when ratified by the Legislatures of three fourths of the several States, or by Conventions in three fourths thereof, as the one or the other Mode of Ratification may be proposed by the Congress. . . .
All amendments to the Constitution that have been adopted have been proposed by Congress. All but the Twenty-First Amendment, which repealed the Eighteenth Amendment (Prohibition), were ratified by state legislatures. The Twenty-First Amendment was ratified by the convention method. 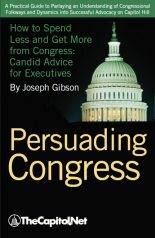 Any member of Congress may propose a constitutional amendment by introducing a joint resolution. A joint resolution may be introduced in the House (H.J. Res.) or Senate (S.J. Res. ), or companion joint resolutions might be introduced by like-minded members in each chamber. Joint resolutions proposing to amend the Constitution are within the jurisdiction of the House and Senate Judiciary Committees, to which these resolutions are referred. 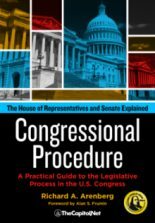 If the committees choose to act, they would most likely follow normal legislative procedures–hearings at the subcommittee or full committee level or both, possibly subcommittee markup, full committee markup, and reporting. 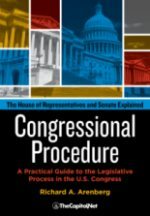 Floor consideration of a joint resolution proposing to amend the Constitution would also likely happen under a set of procedures that the House or Senate normally crafts to consider important legislation. The Constitution, however, requires supermajority votes in the full House and Senate–a two thirds vote in each chamber. This provision has been interpreted as two-thirds present and voting, a quorum being present; it is not two-thirds of the membership. Like other legislation, each chamber must agree to exactly the same proposed amendment before it can be submitted to the states. A conference committee might be needed to reconcile differences in joint resolutions approved in the House and Senate. A two-thirds vote of those voting in each chamber would be needed to adopt the conference report on a joint resolution. The president does not have a formal role in the amendment process. He might exhort Congress to submit a constitutional amendment to the states on some subject, lending his political support to a movement to amend the Constitution, or he might oppose an amendment. But a proposed amendment does not need the president’s review or approval before being submitted to the states. Once Congress has completed its role in proposing an amendment, the joint resolution is transmitted to the archivist of the United States, who is the head of the National Archives and Records Administration (NARA). The archivist has delegated ministerial functions related to the amendment process to the Office of the Federal Register (OFR) within NARA. OFR adds legislative history notes to the joint resolution, and publishes it in slip-law format. OFR also prepares official and informational documents for the archivist to submit to the states. The archivist notifies each state governor with a letter and the documents prepared by OFR. Assuming the joint resolution provides for ratification by three-fourths of the states’ legislatures, the governors submit the proposed amendment to the legislatures. 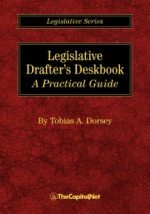 State legislatures have adopted different procedures for ratification. For example, some require a supermajority vote. (States also adopted or had in effect differing provisions for the state conventions that ratified the Twenty-First Amendment, repealing the Eighteenth Amendment.) Legislatures must ratify the exact amendment proposed by Congress, and must include a clear statement of ratification in the legislative act they use to express ratification. They may not amend the proposed amendment or attach conditions to ratification. The question of whether ratification by a legislature can subsequently be rescinded is not settled. Because the Constitution requires ratification by state legislatures, governors are not required to approve or sign ratification legislation, although they might lend support or express opposition during legislative debate over the amendment. States send ratification documents to the archivist, where OFR examines them for legal sufficiency. OFR retains the documents until the amendment is ratified or fails ratification. Once ratification documents are received from the constitutionally required three-fourths of the states, the archivist issues a proclamation certifying ratification. The certification is published in the Federal Register and the Statutes at Large. In the twentieth century, Congress began the practice of setting a time limit for states to ratify a proposed amendment. Seven years has been the time limit used, although amendments that have been ratified have usually achieved ratification within one or two years. 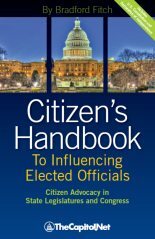 Like other legislation, members might introduce the same constitutional amendments in one Congress after another, making their opinions known and working to change the Constitution. Even if an amendment is submitted to the states and fails ratification within the prescribed time period, members might introduce a new joint resolution with the same or similar language in another Congress and work for its adoption and submission to the states. Twenty-seven amendments to the Constitution have been ratified. Seven other amendments submitted to the states have failed ratification. Also see the Bill of Rights Card, from Two Seas Media.